WASHINGTON — The federal agency handling workplace harassment complaints has become a crowded waystation in an overwhelmed bureaucracy, with wait times often stretching years. And as the Equal Employment Opportunity Commission takes on renewed significance in light of the growing #MeToo movement, lawyers worry the increased caseload will lead to even longer delays. 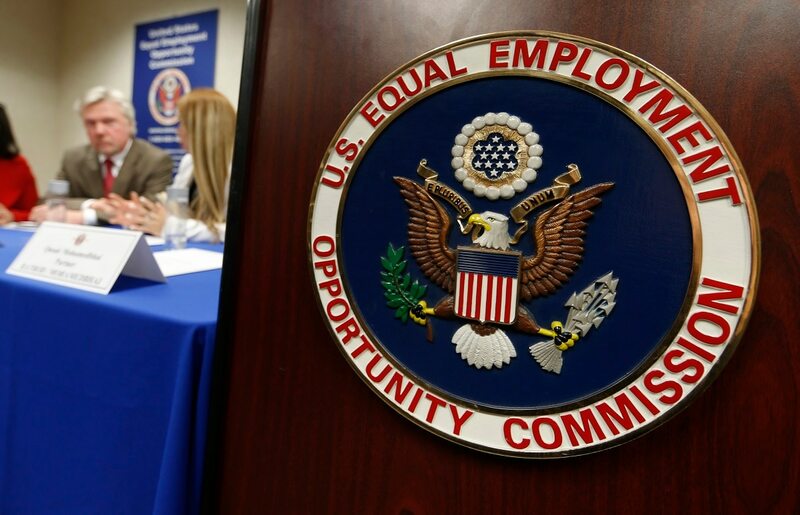 While the omnibus spending bill Congress passed last month gives the EEOC a $15 million budget boost, the commission is still without permanent leadership. President Donald Trump’s choice to lead the five-person commission, corporate attorney Janet Dhillon, has inspired fierce criticism from civil rights groups. Neither Dhillon, who is married to a White House attorney, nor Daniel Gade, nominated for a seat on the commission, have come up for Senate confirmation votes. The EEOC operates on two parallel tracks: one for private-sector workers, and one for federal employees. Both are struggling. Last year the agency closed 99,000 cases. In 70 percent of those cases, investigators determined there wasn’t evidence immediately available to make a finding that discrimination occurred. 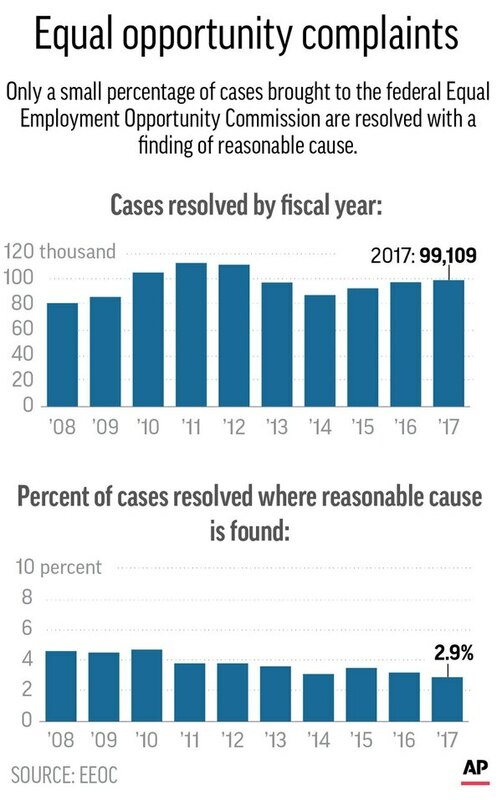 But many were dismissed without a full or even cursory investigation; last year, just 2.9 percent of all resolved cases were found to have reasonable cause. “We’re devoting our resources to charges where there seems to be more likelihood to find discrimination that we can attempt to resolve, and spend fewer resources on charges where it appears less likely to find discrimination,” said EEOC Project Manager Nicholas Inzeo, who oversees the agency’s 53 field offices. “It’s easy to say there’s no reasonable cause if you don’t do an investigation,” said Richard T. Seymour, an employment lawyer. Attorney Jacob Small said many workers don’t want to go through the lengthy, emotionally draining and very public process of filing a lawsuit. “So many people realize it’s just easier for them to move on or to take a very small settlement that doesn’t compensate them for the harm they’ve actually suffered,” he said. 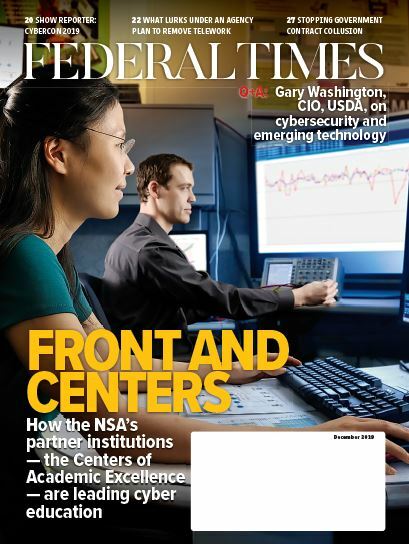 The agency’s handling of federal employee complaints often takes even longer. Federal employees must first file a complaint with their agency’s equal employment office, which conducts an investigation. The employee may then file a lawsuit or request a hearing with an EEOC administrative judge. “I have some cases that have sat on judges’ desks for five years with no hearing date in sight,” said Rosemary Dettling, the founder of the Federal Employee Legal Services Center. In 1993, Ann M. Garcia was an ambitious 34-year-old agent at the Drug Enforcement Agency with dreams of going overseas. But headquarters had told her that she shouldn’t stray far from home because her husband might get bored and leave her. She was 52 and had retired, along with more than 70 other female agents who’d joined her complaint. While the action was pending Garcia did receive a foreign assignment, but many of the others didn’t, she said. “We are working on projects that will reduce the amount of time, reduce the complexity of it and make it more efficient, for the parties and for us, and reduce inventory, and help us get through the cases more quickly,” he said.